Thoughts of Southern style quail hunting invoke memories of times past. Men and dogs searching field edges and flats of head height brush for those explosive bobwhites. It doesn’t have to be a memory. Since 1965, our goal at Red Bank Ale & Quail Outfitters Inc. has been our goal to provide our guests the ultimate quail hunting experience. We are ready to turn tour memory into reality. Red Bank Outfitters in Red Bluff, Ca. is exclusive. We do not mix groups together. This adds greatly to you and your guest’s enjoyment. We can accommodate up to 14 people in the main lodge and 6-8 in the bunkhouse. No minimum group size. Remember the trip is about your enjoyment. We hunt with 2 guests, one guide and 3-4 dogs. 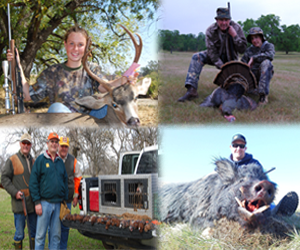 Our guides are the backbone to your hunting experience at Red Bank Outfitters. They love hunting and they love helping guest have a great time. They have many years of experience with dogs and shooting. As our guides are the backbone to your hunting trip, our dogs are the heart and soul. There are few sites in the outdoors more reverent than a brace of birddogs on point. It’s almost better than the shooting. If you have your own dogs, they are welcome at Red Bank as we have a kennel at both facilities.